The mission of HCMC is to provide learning and performing opportunities that will enable all members to develop higher quality musical performance skills. 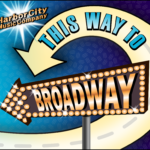 While there are more than two dozen choruses in the Atlantic-Bay-Mountain Region of Sweet Adelines International, the Harbor City Music Company Show Chorus strives to set itself apart through its attention to musicality, creativity, and artistry. Thanks to our director, Michael Gellert and his amazing arrangements, our repertoire goes far beyond traditional barbershop, encompassing everything from Broadway to the Beatles and Billy Joel. When last asked, Michael calculates that he has arranged nearly 30 different songs for the chorus, and is always considering new melodies to add to the repertoire. HCMC has a reputation of producing the most entertaining show packages found at Sweet Adelines competitions. You can read in our History about some of our memorable moments. We tailor our performances to our audiences whether we are singing for a Volunteer Recognition Dinner, Mother/Daughter or Father/Son Banquet, Holiday Party or Retirement Community. Call 800.856.9868 today to explore possibilities for your special engagement.